Here’s help get every bit of gravy out of the pan whenever you make Melt-In-Your-Mouth Pork or Black Pepper Beef. You need to be doing two things: 1) Making Melt-In-Your-Mouth Pork or Black Pepper Beef. 2) Having it with steamed rice. After you’re done with the meat dishes and have gotten them out of the pan, add in a couple of scoops of your steamed rice. Turn on the heat and toss everything about. Let the immaculate grains of fragrant starch slip into the bronze coats of savoury delight. No gravy wasted, flavoured rice, and your pan’s now easier to wash. 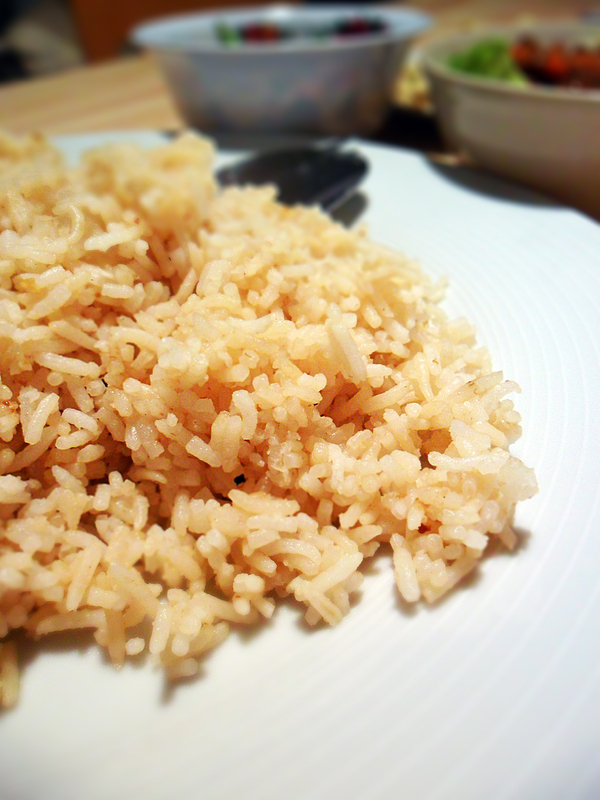 This entry was posted on Tuesday, November 29th, 2011 at 17:00	and tagged with Gravy, Rice, Tips, Trick, Waste and posted in Tips and Tricks. You can follow any responses to this entry through the RSS 2.0 feed.